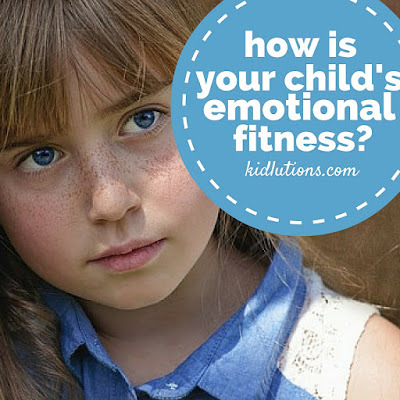 How is your child's emotional fitness? If such a thing exists, is there an exercise for your emotions? 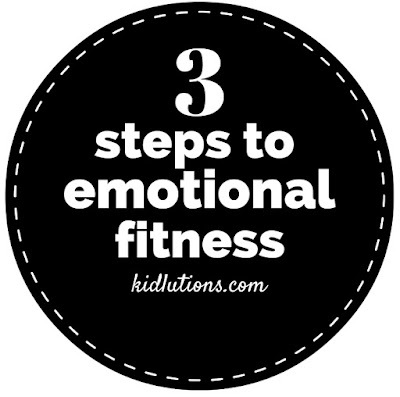 Sure it exists, and the form of exercise that works for it comes in the form of social-emotional learning activities that only take minutes a day. I'm not sure, but it will be interesting to see if the future holds a Recommended Daily Allowance (RDA) of social-emotional nourishment. I believe it's a requirement for every breathing person, but there is no RDA for it as of yet. Soon, though, maybe soon! Dealing with emotions is a tall order, and one that must be filled for our future generations to live happy, fulfilled lives. Nobody is born equipped with the ability to handle those emotions on their own. It's a skill that's learned, much like learning how to walk, ride a bike and do a math equation. Adults must provide support, education and encouragement for all of the above. Some kids need more help than others. If you parent or teach a kid like that, nobody has to point it out to you. You already know. Emotional fitness includes teaching kids social-emotional skills, but we also need to pay attention to some other significant areas that come into play. Below, we share three. This is not an exhaustive list, but three very important considerations. 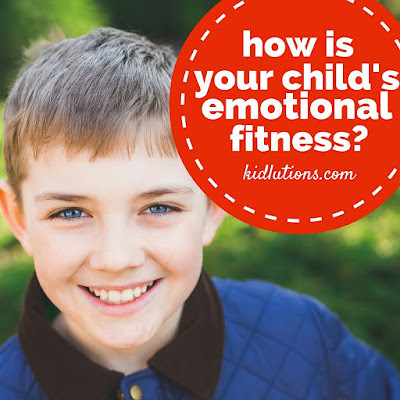 Click to tweet: Emotional fitness includes teaching kids social-emotional skills. We know that physical activity can help lift people's moods and help them better regulate their emotions, increase their focus and shift their minds. This is why when I work with kids and adolescents living with anxiety or depression, we always discuss the importance of getting up and moving. This has an undeniable positive impact on mood. Another breath of fresh air for our emotional fitness! Click to tweet: Physical activity can help lift people's moods. What you child is eating just might be what's causing problems. Ingesting large quantities of highly processed foods wreaks havoc on our bodies AND our minds. When considering behavioral issues in kids, or mood disorders, nutrition has to also be explored. Leaving this out of the equation could undermine all of your other efforts at building social skills. Click to tweet: Ingesting large quantities of highly processed foods wreaks havoc on our bodies AND our minds. Another really important aspect of helping kids get and remain emotionally fit is making sure they get their required sleep. We know how lack of sleep saps us of energy and leaves us less equipped to deal with the small stressors of daily life. Now imagine sleep-deprivation super-imposed upon a child whose coping skills are already minimal and...well, you know how this ends! If you need a refresher on how much sleep your child needs at each age, be sure to check this out by the National Sleep Foundation. Did you know recommended sleep times have changed in the past year? Click to tweet: Sleep-deprivation is even tougher on kids than it is on us. Which areas do you need to work on with your kids? Make a plan and get started! The Feelings Shop at Kidlutions: Our exclusive social-emotional resources for purchase.